The advantage of using a router is that you can connect more then 2 computers to the same database. The disadvantage to using a router is that you have more wires to connect every time you setup your ticketing table. 1. First off, you need a router. You can use any basic router or if your site already has a network you can use that. We suggest that you not use wireless as it will be a little slower, but will work if you have to use it. 2. Then plug a network cable from each laptop into the number ports. Do not plug into the Uplink or the Wan. 3. 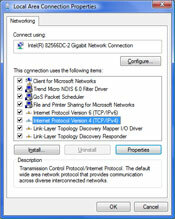 You router should have the default settings of DHCP which will assign an IP address automatically. 4. You need to establish a master computer and a slave computer. The master computer is the one where the database will be stored and shared. The slave computer will use the database from the master computer. 5. 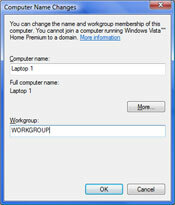 Make sure that both computers are on the same domain or workgroup. 6. XP Right click on My Computer and select properties. 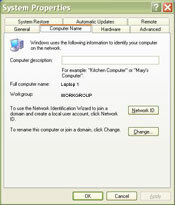 Then click "Change" and make sure all computers on the network that you want to share have the same name in the workgroup line. They should have unique computer name's. 6. Vista go to start menu, right click Computer and select properties. On the right side select "Change Settings" Then in the Computer Name tab click "Change" and make sure the workgroup matches the other computers that you want to share the database with. The Computer name should be unique for each computer. 7. Next, on the master computer you need to share the database file. Go to the location that you installed the software into. 8. XP - Right click on the folder Tickets and select Sharing and Security. Then check the box that says "Share this folder on the network" and check the box that says "Allow network users to change my files" Then click OK.
8. Vista - Right click on the Tickets folder and select Share. Then click Advanced Sharing and check the box that says "Share this folder" then click OK. Under these operating systems you need to put the Master database into the Public shared folder. It is not as easy to share the default location given above. Then ALL computers, including the Master, must be pointed to the Public shared folder to make the database connection. 9. Now go to your slave computer and browse the network to find the master computer. Find the Tickets folder, right click and choose " Map Network Drive". Assign it a drive letter of your choice. If you keep the box checked that says "Reconnect at Logon, it will always try to connect to this computer every time you try and start it up. If the two computers will not always be connected, un-check this box. Then click Finish. Using a special network cable called a crossover cable will allow you to connect two computers directly to each other. To setup a crossover cable you need to make a one time change to the alternate ip address on your network card settings and you will be ready to go. 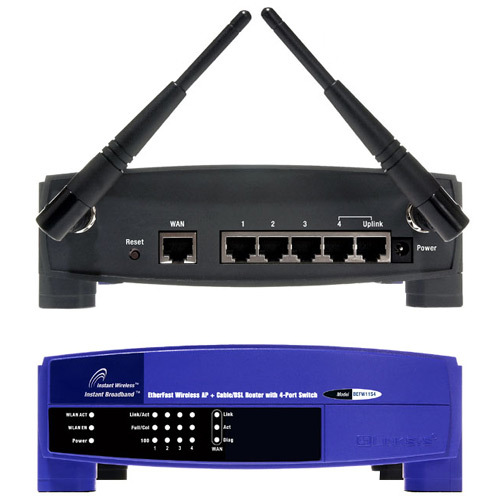 The disadvantage of using a crossover cable as compared to a router is that you can only have 2 computers connected at a time. 1. XP - Right click "My Network Places" and go to properties. Then right click on your "Local Area Connection" and select properties. finally right click "Local Area Connection" and select properties. 1. Vista - Right click on Network and select properties. On the left side, select "Manage network connections". Select "Internet Protocol Version 4" and click properties. 3. The subnet mask should automatically be populated with (255.255.255.0). This number has to be the same on both computers. Click OK and you should have an established network connection between the two computers. If you get some kind of error or can not connect the two computers, ask your network tech as you might have some user or domain restrictions. This is expecially recommended for DISCIPLINE 4 SCHOOLS. The last item in each pathname is the actual database. This should NEVER be removed, but it may be copied. 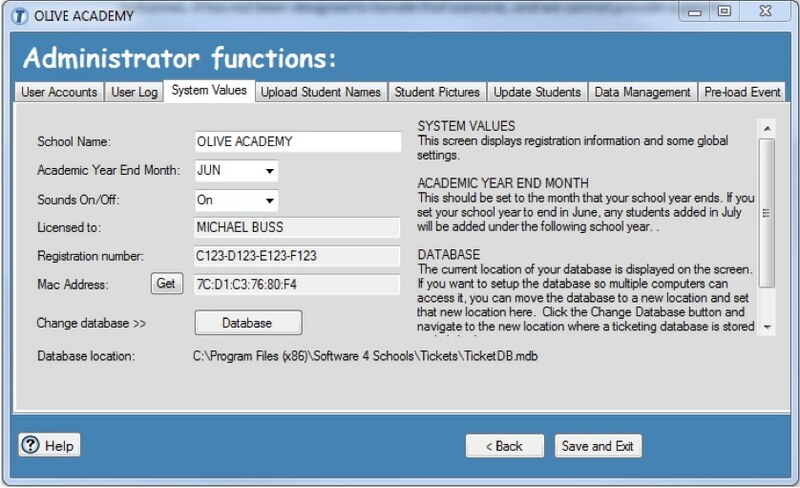 When first installed the program will automatically find the installed database. For a single computer installation, this is all you will ever need. 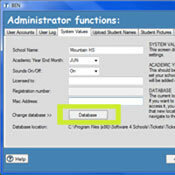 Take a copy of the database and put it in a shared folder on the school server. Map that folder as a drive to each of the computers with the installed software. Open the application and log in. Click the Database button, and navigate to the server location. This will be easy if the folder has been mapped as a drive to your computer. All you will see should be the database. Select and click OK.
You will now see the new database location listed underneath the Database button. This completes the set up. Note, also, the on-screen documentation on the right hand side. Each time the application opens it will now look for this database. If you do not have a network connection, or you have taken the laptop home, the application will default back to the original location. You will not see the data you might have hoped for. Both Ticketing for Schools and Discipline 4 Schools demand considerable database access. You may notice a lag time with transactions if your network bandwidth is near to capacity.